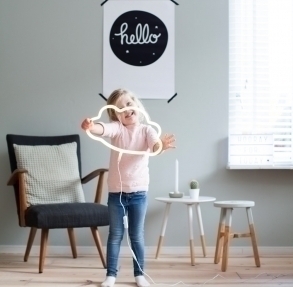 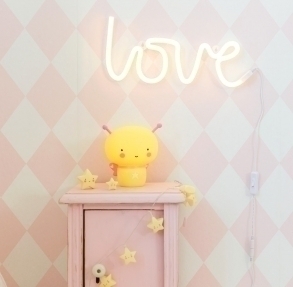 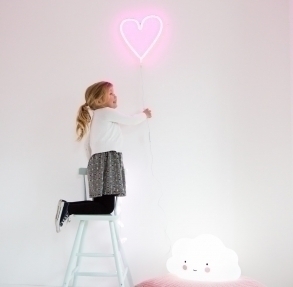 Our energy efficient durable LED version of the popular retro neon light is made from plastic and thus is ideal for decorating a children's room. 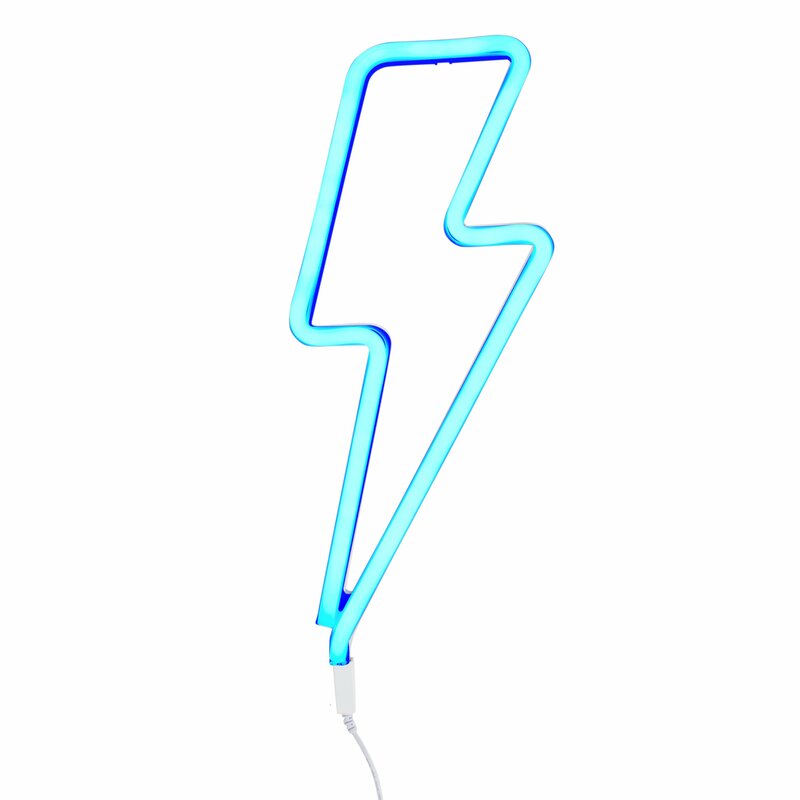 It also has built-in hooks for easy hanging, an on/off switch, and comes complete with an adapter. 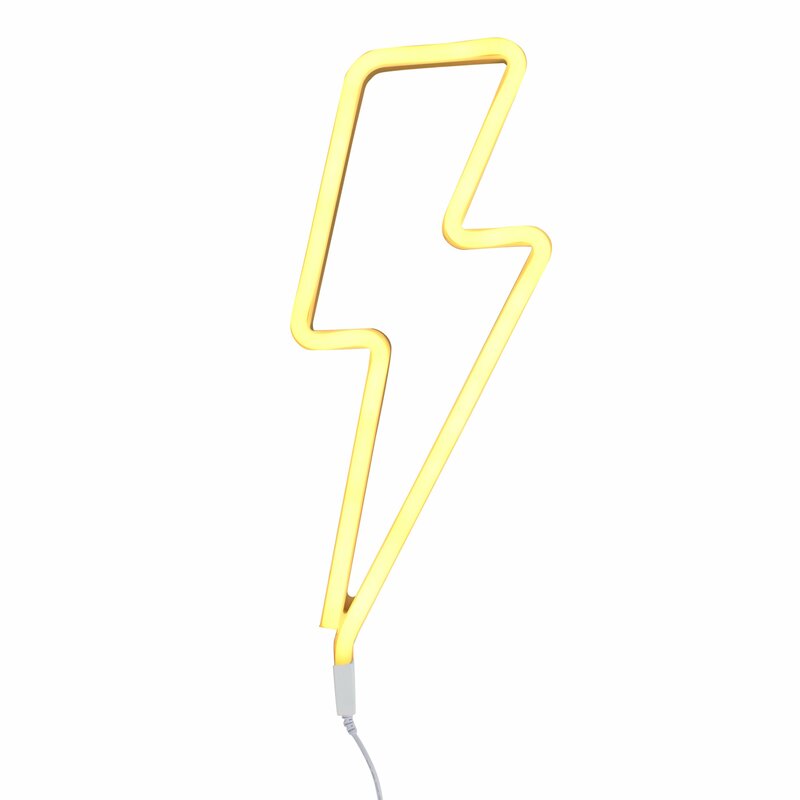 Operates with a built-in adaptor with ON/OFF switch.